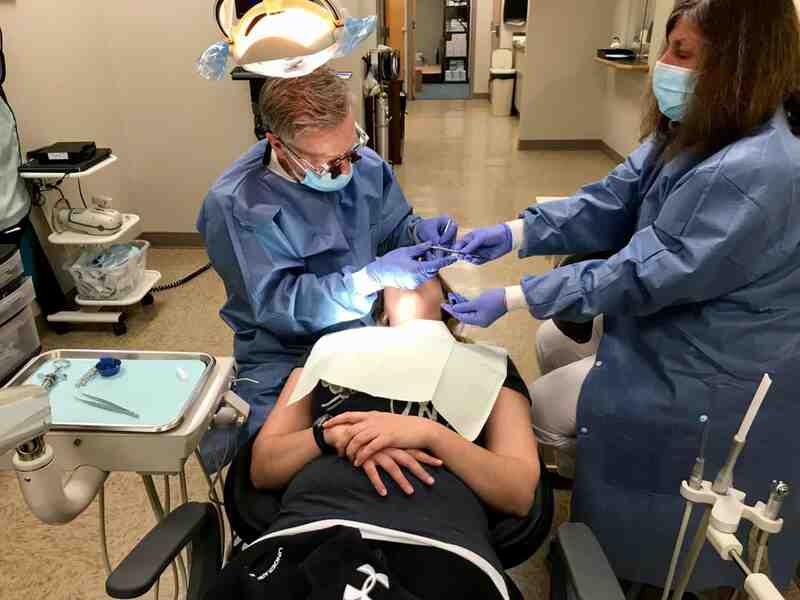 Amaus Dental Services of Syracuse New York has won the prestigious New York State Dental Association’s Hallmarks of Excellence Award for Community Service. Amaus Dental Services opened with one small room and portable or used dental equipment in August 2014. Its mission then and now was to provide dental care free of charge to the homeless, unemployed and uninsured of Central New York. The scope of care includes exams, x-rays, hygiene, direct restorations and most extractions (excluding impactions). The all- volunteer staff has expanded from one dentist to seven and from one hygienist to five. The number of patients treated has increased from 48 in 2014, to 712 in 2018. The value of care provided since 2014 is over $400,000. Since 2014, the staff has included volunteer dentists, hygienists, assistants and front office personnel. It has even included five pre-dental students; all young women, who were later accepted into dental school. Amaus welcomes any offer of help or support to continue their mission and expand the amount of care they can provide in Central New York! The NYSDA Hallmarks of Excellence Award recognizes outstanding local district programs in the areas of membership enhancement, education/information, community service, new dentist outreach, and legislative achievement. The award and the plaque will be presented to Dr. David Dasher, Dental Director, Amaus Dental Services, at the NYSDA House of Delegates in June.